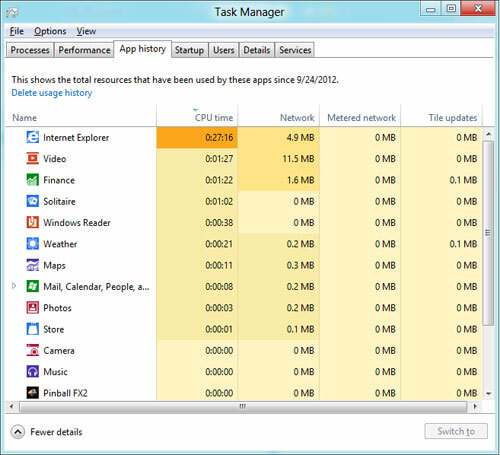 Navigating Windows 8 can be a nightmare if you are used to the start button, and also depend on it so much. Here are a few shortcuts and helpful tips to get you on your way, as i already mentioned in an earlier post you can get the start button back with the stardock app. With Windows 8 if you are on the start screen you can simply just start typing to search for anything you are looking for, weather it be an app or a file, just type the letters and your results will start to appear on the left hand side. The Search is also found through Charms and can also be opened by pressing Windows key + F.
The bottom left-hand hot corner of the screen will allow you to access the Start screen, if you're in the Start screen and have the Desktop open, this corner will open the Desktop from the Start screen. Right-clicking in the left hand corner will open the power user menu. 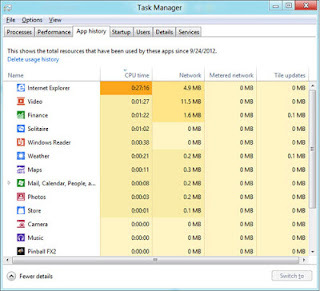 Labels: Hot Corners, Task Manager, Windows 8 Shortcuts, Windows Search.